The Power Trainer Gym Shoe is designed for the rigors of EXTREME SPORTS. 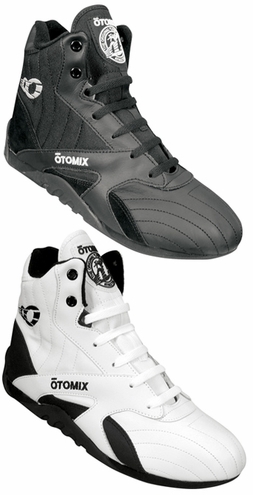 Otomix incorporates extra protection and support in the Power Trainer for the most demanding workouts. A great cross training shoe for all sports. The best shoe for bodybuilding, weightlifting and intensive Karate/Martial Arts training. 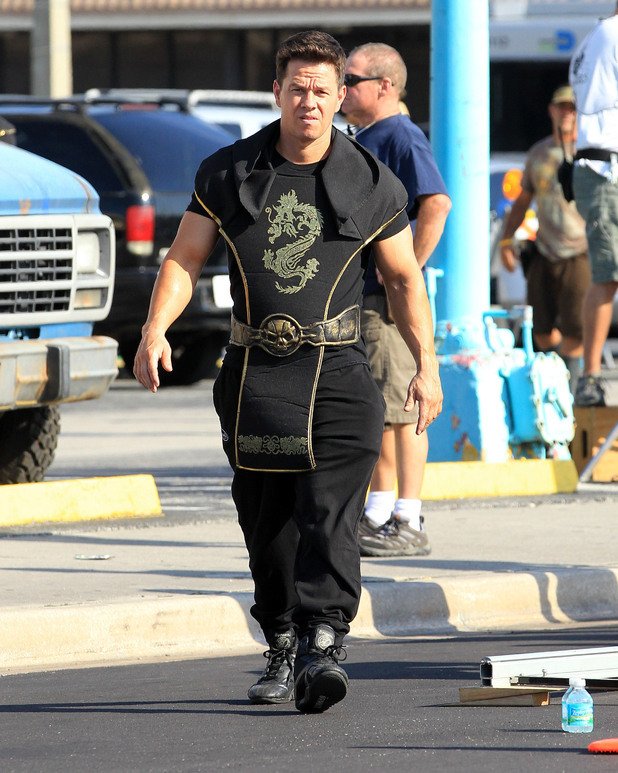 See Otomix in the new Movie Pain and Gain with Mark Wahlberg and Dwayne Johnson wearing Otomix Shoes and Baggy Pants.The Otomix Power Trainer Men�s Bodybuilding shoes are one of the more interesting shoes that I have come across. They are made of leather, which is unusual for lifting shoes and I like that a lot. Leather adds a lot of flexibility in a shoe, while retaining some strength. Also interesting to note is that they aren�t just designed for lifting, but also MMA and martial arts as well. They only come in two colors, black and white.